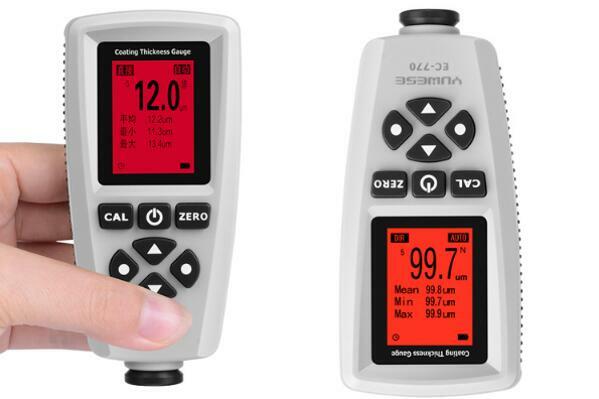 EC-770 coating thickness gauge can be used for non-destructive coating thickness measurement of non-magnetic coatings, e.g. paint, enamel, chrome on steel, and insulating coatings, e.g. paint and anodizing coatings on non-ferrous metals. 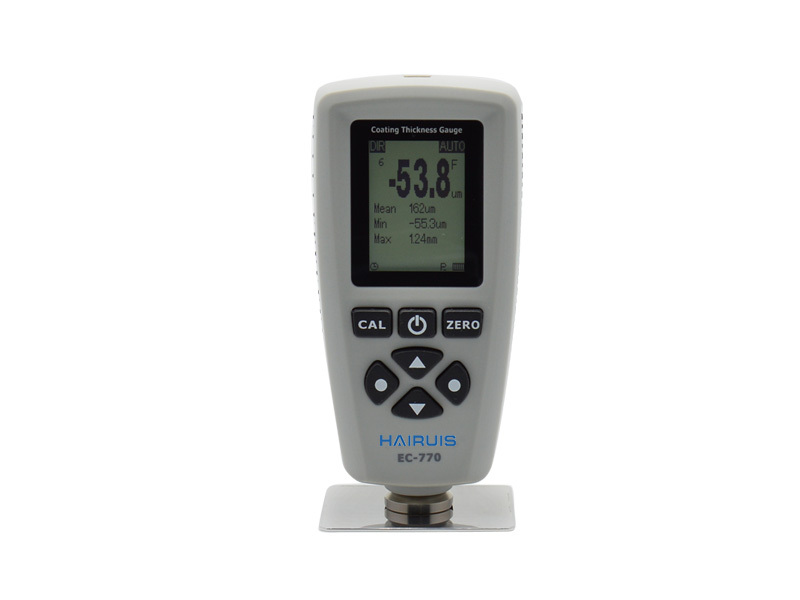 The internal probe can work on two measuring principles, magnetic induction and the eddy currents. The probe can automatically detect the substrates type (Magnetic or not), and calculate the coating thickness and display it fast. There are five data groups, and readings will be automatically stored to memory for general groups (Not for direct group). Each group has individual statistics, alarm limit settings and calibration. User can recall and delete specified readings easily. User does all operations via standard menu so easily. User can press the CAL button to start calibration freely.